In his later years Leon recorded an album of his favorite songs called “Singing in Heaven,” where he shared his vision of heaven. He suggested that the one thing we can all take with us when we depart this world is the gift of music and singing. Today Leon is likely leading his own chorus of angels and fellow departed souls and urging them to sing with more gusto! We here on earth will always remember his passion for singing. Leon Benjamin Gathany went to be with the Lord on March 30, 2015 after a long and fruitful life on this earth. He was born in Walton, NY, on October 4, 1920, the first son of John William Gathany and Florence Marilla Rice Gathany. His father was the pastor of the Walton Christian and Missionary Alliance (C&MA) Church. The following year the family moved to Attleboro, Massachusetts, where his father was a minister and caretaker of the Mount Hebron Conference Ground of the C&MA. 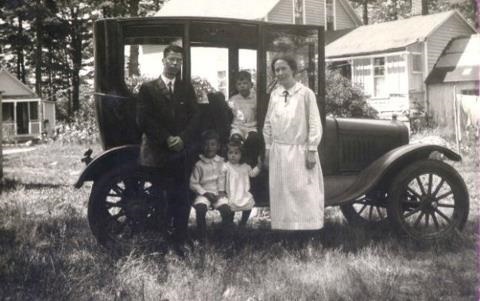 It was in Massachusetts where some of his first memories were formed including visits to the ocean and his father’s Model T Ford sedan. In 1926 the family returned to the Halstead/Great Bend, PA, area and in 1927 Leon entered school in Great Bend, PA. It was during the 1930’s that Leon began his love of the outdoors spending many hours on the Susquehanna River boating, canoeing and fishing. At the age of thirteen he found his first of thousands of Indian projectile points in what began a lifelong hobby. Leon’s love of reading was fostered in the Great Bend school and he voraciously read many of the classics while in school. He also played basketball and baseball and ran track where he medaled in middle distance races. In shop class Leon also built an end table and a piano bench which are still in his home. He also assisted in the building of a row boat and a canoe and used them in trips on the Susquehanna River. He graduated from Great Bend High School in 1939 and applied to Toccoa Falls Institute. 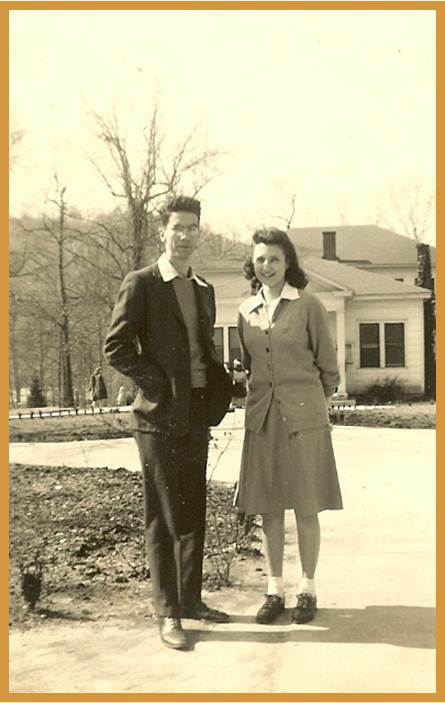 Since it was the height of the depression and he had no money he was drawn to Toccoa Falls by the influences of his cousin Ruth Gathany Klinepeter who described the opportunity that students had at Toccoa Fall working in the LeTourneau plant. 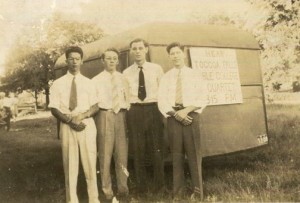 Leon and his brother Don were accepted at Toccoa Falls and enrolled in the fall of 1940. 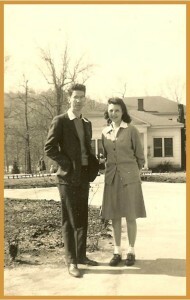 Leon attended Toccoa Falls until he graduated with a Bachelor of Arts in Education in 1945. During his time at Toccoa Falls he worked for two years at the Letourneau plant and in the kitchen at Toccoa Falls. It was at Toccoa Falls that he met his wife Rachel Pritchard who was from Asheville, NC. In addition to studying and working Leon and his brother Don sang in quartets representing Toccoa Falls in evangelistic meetings in Alabama and Georgia. 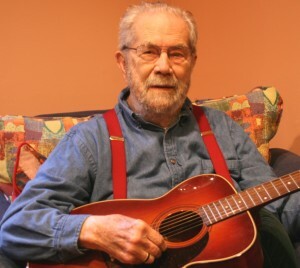 Upon graduating from Toccoa Falls, Leon and Don enrolled in 1945 at the Nyack Missionary College in New York. Their goal was to obtain the necessary credentials for a C&MA minister. Leon and Don and their sister, Julia, all graduated from Nyack with Leon obtaining a Bachelor of Religious Education in 1947. Leon and Rachel were married on December 31, 1946 in Great Bend, PA, and then lived at Nyack while Leon completed his degree. After Nyack they moved to Birmingham, AL, where Leon was the pastor of the North Birmingham Gospel Tabernacle. In 1949 they moved to Great Bend, PA, where Leon became the pastor of the C&MA church started by his father. While serving in the Great Bend Alliance Church, Leon and Rachel had four children, Richard, Timothy, Rebecca and Deborah. During his time as a minister in Great Bend, Leon Gathany was approached by the local school superintendent to teach a sixth grade class in the neighboring town of Hallstead, PA. That event began Leon’s career in education. In 1960 the family moved to Mountain Lake, MN, where he became the principal and the sixth grade teacher of the Mountain Lake Christian Day School. He completed his Master of Education at New York University by returning to New York City for two summers. 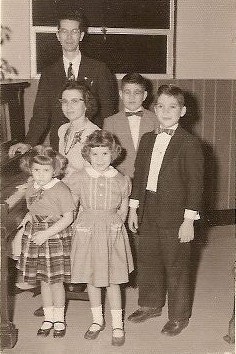 In 1964 the family moved to Toccoa Falls and Leon became the principal of Toccoa Falls High School. When the high school closed he became a teacher in 1976 in the Stephens County Schools at Big A Elementary and Stephens County Middle School. 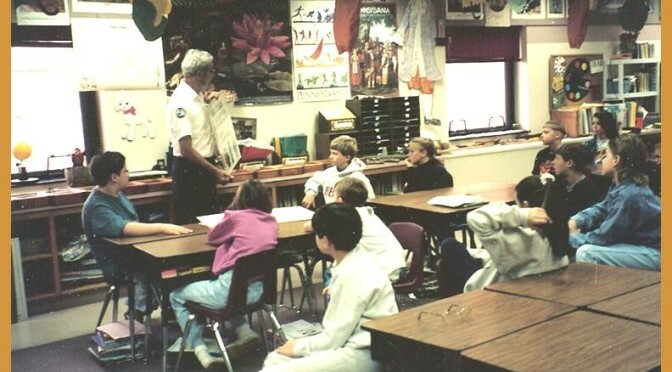 Upon retiring from teaching he became a naturalist at Tugalo State Park where he provided nature programs for the campers and public from 1983 until 1995. During that period of time he traveled with his wife and others to the state of Alaska with thirty trips and 45 different people. He attended the Iditarod Dog sled race three times and assisted in the operations by feeding sled dogs and taking photographs for mushers. Leon Gathany was an avid musician having played the trombone and tuba in his younger years and later the guitar. 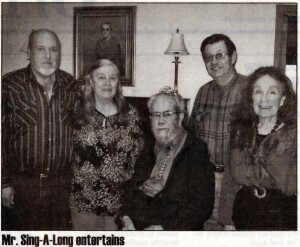 For years he led the singing at the Toccoa Alliance Church. In the last few years he continued his singing regularly at nursing homes and churches and by singing duets with his son, Richard. 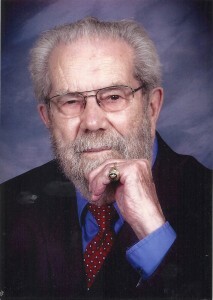 Leon was a member of the Georgia Retired Educators Association and the Stephens County Retired Educators Association. He was also an associate member of the Marine Corp League. Having given his heart to Jesus at age nine he was a Member of the First Alliance Church of Toccoa and an associate member of Allen’s Methodist Church. 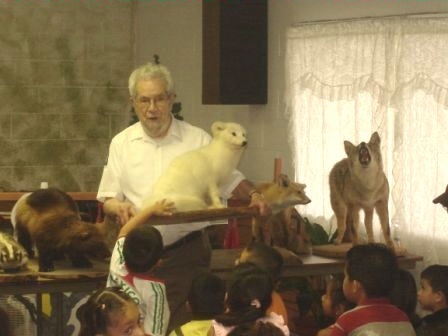 Today Leon Gathany’s legacy continues with the Leon and Rachel Gathany Museum of Natural History at Toccoa Falls College, where many of his collections are housed. Funeral services were held at two o’clock Saturday, April 4, 2015 at Grace Chapel on the campus of Toccoa Falls College with Dr. Scott Borderud, Dr. Jon Tal Murphee, Dr. Robert Myers, and the Rev. Johnny Ray officiating. Leon is survived by a sister, Eloise Biggin of Marmora, NJ; four children, Richard Gathany of Stone Mountain, GA, Timothy Gathany of Manteca, CA, Rebecca Gathany-Bailey of Johns Creek, GA, and Deborah Gathany-Keeney of Sandy Springs, GA; two daughters-in-law, Jessie Mayfield Gathany of Stone Mountain, GA and Eleanor Gathany of Manteca, CA; two sons-in-law, Don Bailey of Johns Creek, GA and Rick Keeney of Sandy Springs, GA; eight grandchildren, Stephen Gathany of Tucker, GA, Nicholas Gathany of Christiana, PA, Nicole Gathany of Stone Mountain, GA, Philip Gathany of Collegeville, PA, Erin Keeney of Atlanta, GA, Ricky Keeney of Atlanta, GA, Anthony Bailey of Johns Creek, GA, and Andrew Bailey of Kennesaw, GA; two great grandchildren, Eva and Wesley Gathany of Tucker, GA; three step-great grandchildren; and a host of nieces and nephews. He was preceded in death by his wife of 60 years, Rachel Gathany; brothers, Don Gathany and Lysle Gathany; and a sister, Julia Elliot. These gentlemen served as pallbearers: Kelly Vickers, Jerry Snell, Keith Smith, Lyle Salzman, Philip Gathany, and Anthony Bailey. Burial followed at Stephens Memorial Gardens with Dr. Robert Myers officiating at the graveside. The family received friends at the mortuary from 6pm – 8pm Friday, April 3, 2015. In lieu of flowers, memorial donations may be made to The Leon and Rachel Gathany Museum Foundation, Inc., 860 Crest Valley Dr. NW, Atlanta, GA 30327. Whitlock Mortuary of Toccoa GA was in charge of the arrangements.